I first learned about zucchini “noodles” as I was getting into raw foods years ago. It seemed like such a cool idea: create a familiar recipe foundation (pasta) using something a little greener than pasta (zucchini). 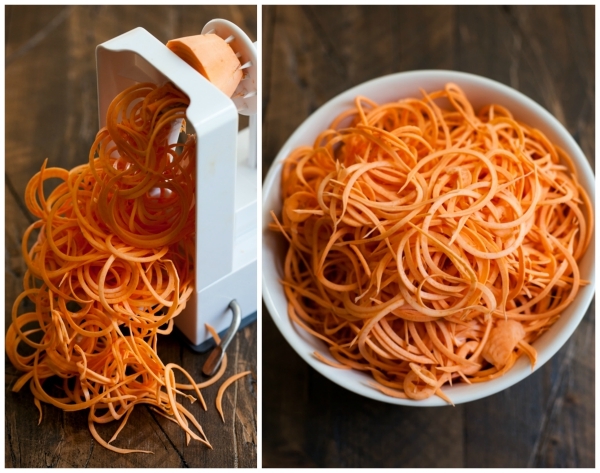 I purchased my first spiralizer, and it was love at first crank. It didn’t take me long to make noodles out of turnips, cucumbers, carrots, and beets, as well as a whole lot of zucchini marinara. As you all know, I’ve moved away from raw foods significantly, but that doesn’t mean that I’ve parted ways with vegetable noodles. One of the reasons that spiralizing is so popular is that it isn’t specific to a particular eating style. 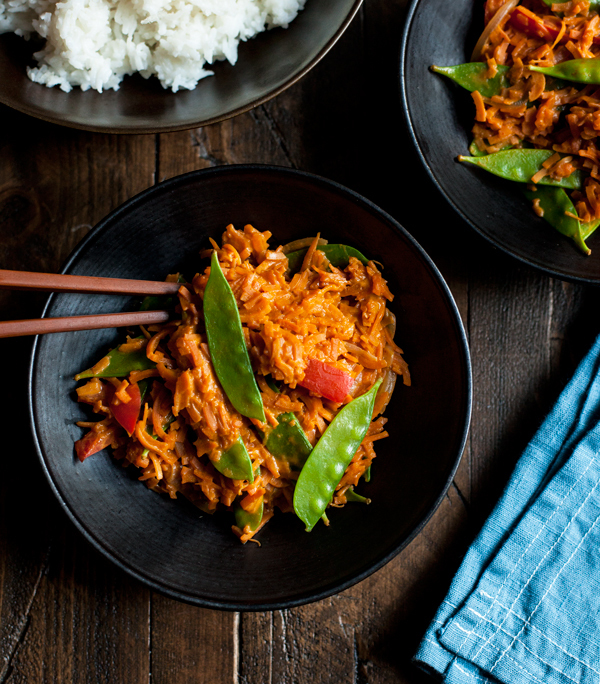 It appeals to raw foodies because it’s an uncooked, vegetable-based alternative to noodles. It appeals to paleo eaters because it offers a grain free approach to pasta recipes. It’s popular with folks who are trying to eat more vegetables because it helps to make veggies feel playful and different. The spiralizer has something to offer everyone. This is the philosophy behind Ali Maffucci’s popular website and brand, Inspiralized. Ali’s only been blogging for a couple years, and I remember distinctly when her website first came to life. I was impressed with her fun, relaxed approach to making vegetable dishes for everyone, regardless of food philosophy or tastes. Ali’s own heritage is Italian, so she knows and loves pasta. Her goal is to create more nutritious, varied, and creative pasta offerings–turning to the vegetable kingdom for inspiration. 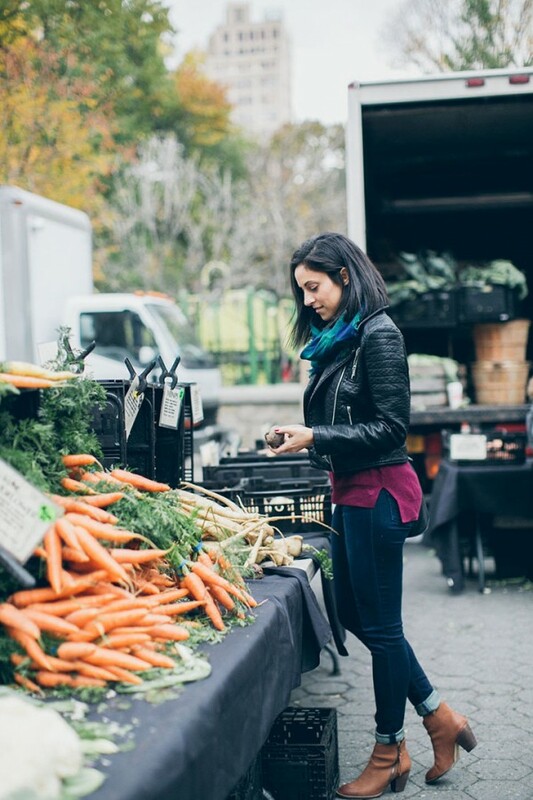 She emphasizes health and wellness, but always with a playful attitude, and she’s passionate about great tasting food. 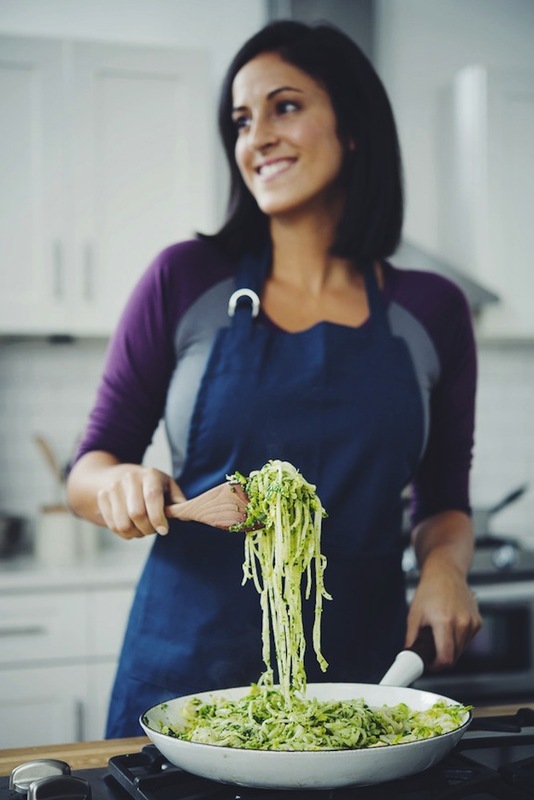 If blogging isn’t enough to keep her busy, Ali’s also the creator of her own spiralizer model, the Inspiralizer. The product grew out of her own experimentation with various spiralizer models and her desire to create something sleek and user friendly. What makes this model so unique is that you can easily rotate between blades to create different shapes: you don’t have to rummage around for separate plates or blades, as is the case with other spiralizers. It has a counter clamp to keep it steady, 4 different veggie shapes, and a central coring blade that will hang on to smaller veggies, like carrots, while also supporting larger rutabagas and beets. You can read more about the Inspiralizer and its features here. I’ve tried a lot of spiralizers in my day. There’s the Joyce Chen saladacco, which was my first spiralizer. I love the way it creates delicate, angel-hair textured zucchini noodles, but it’s not powerful enough to handle really hefty root veggies. I’ve also had the Paderno Spirooli, which I liked, but the detachable blades were definitely less convenient than the all-in-one, rotating Inspiralizer blade. The Inspiralizer is definitely my favorite to date: I appreciate the convenience and the range of shapes that it can create, as well as its durability. 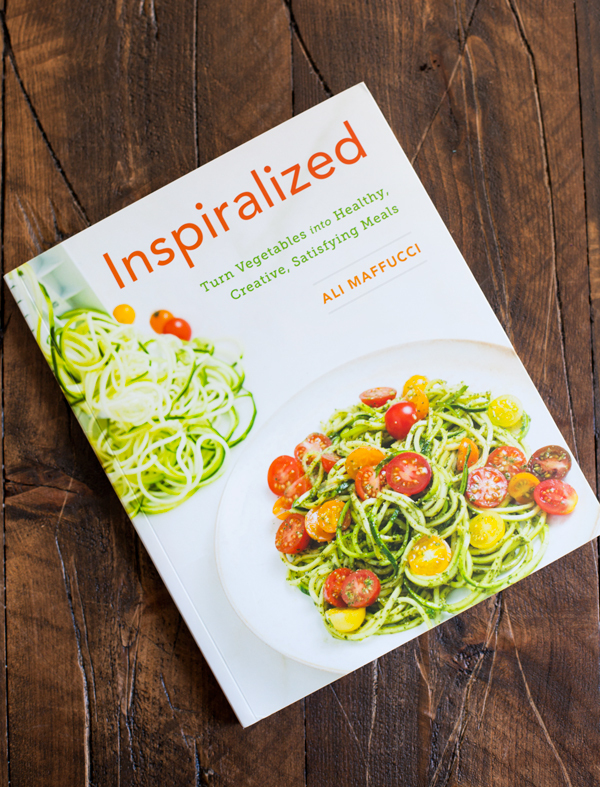 Ali’s also the author of the best-selling cookbook Inspiralized, in which she shares her favorite spiralizer recipes. The subtitle of Ali’s book is “turn vegetables into healthy, creative, satisfying meals.” It’s rare that a subtitle sums up a book’s purpose so nicely. The book is really about creating whole meals with vegetable bases. Vegan readers should be aware that it’s not a plant-based book; the majority of recipes do call for an animal protein. That said, the vegan offerings are great. They include vegan chipotle carrot mac n’ cheese, chana masala with kohlrabi, sesame almond butter kohlrabi bowl, tofu miso-tahini carrot bowl, and vegan celeriac alfredo with broccoli. A lot of other recipes, like the pesto spaghetti with heirloom grape tomatoes or carrot enchiladas, can be easily veganized. The best thing about Inspiralized is that it’s a perfect cookbook for mixed-diet homes. 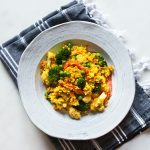 A lot of my clients dwell in families or partnerships or group houses or college suites wherein a lot of different eating styles are represented. It can be tough to create dinners that suit everyone. Inspiralized offers recipes that all start with a vegetable foundation, so that animal proteins can be easily added or subtracted. It’s a terrific book for anyone who’s trying to customize meals to be vegan or omni-friendly–and that’s not something that’s true of many cookbooks. 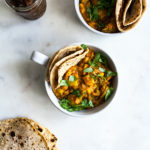 Ali’s website also offers a bunch of vegetarian and vegan options. Now for the super fun part: Ali has generously agreed to share one copy of Inspiralized and one free Inspiralizer to a lucky US Choosing Raw reader. And in preparation of the giveaway, she was kind enough to share the Inspiralizer with me, too. I’ve had such a fun time playing around with it, and today’s recipe is evidence of that. When I first got into spiralizing, I saw it as a means of creating raw food dishes. 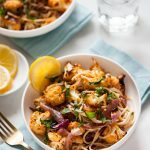 Now that I’m not hung up on keeping things cooked or uncooked, I can explore a greater variety of spiralized recipes–including spiralized sweet potato noodles! These can be eaten raw, but as you’ll see, lightly sautéing them makes them into a truly delicious meal, and I think it creates some of the heartiness and comfort that we associate with traditional pasta (and which zucchini pasta doesn’t really deliver). I can think of so many ways I’d like to try sweet potato noodles, but this is a good place to be starting. 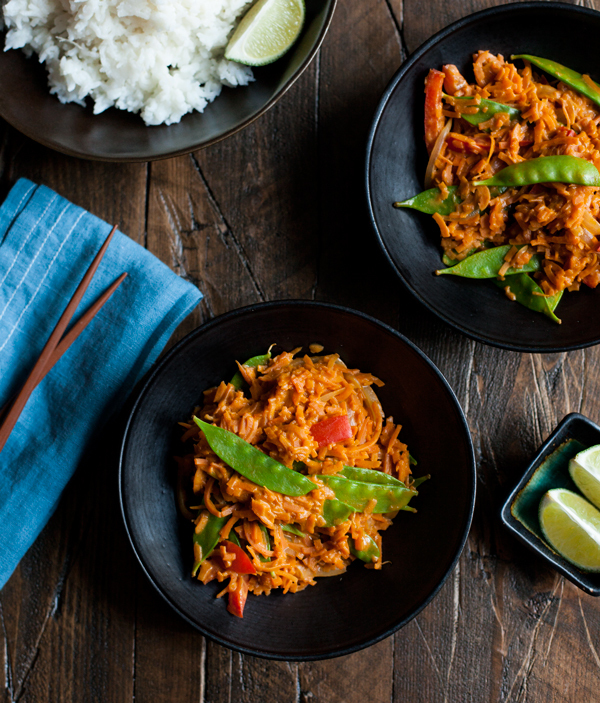 It’s a simple veggie/noodle sautee with a rich, bold, and super flavorful peanut curry sauce. I’ll warn you that the sauce is addictive, and once you whisk it together, you’ll want to use it as an all-purpose dip, soba noodle dressing, salad dressing, and bowl condiment. 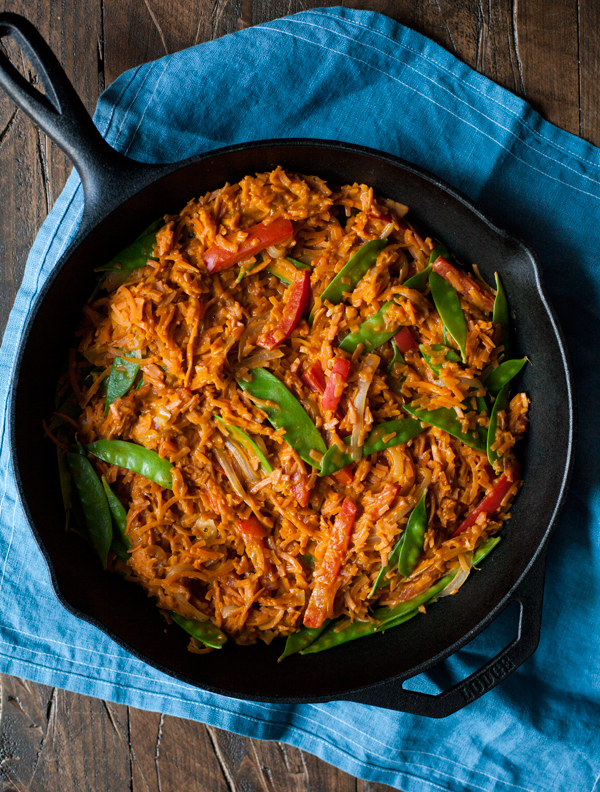 But it complements the sweet, tender sweet potato noodles perfectly, and it makes this easy, one-pot dish come to life. If you have a peanut allergy, you’re welcome to use almond butter, cashew butter, sunflower seed butter, or any other nut/seed butter in place of peanut. You could also use 1/3 cup soaked nuts in place of nut butter, and use a high speed blender to create the creamy sauce. As for the veggies in this recipe, feel free to mix them up a bit based on what you have. 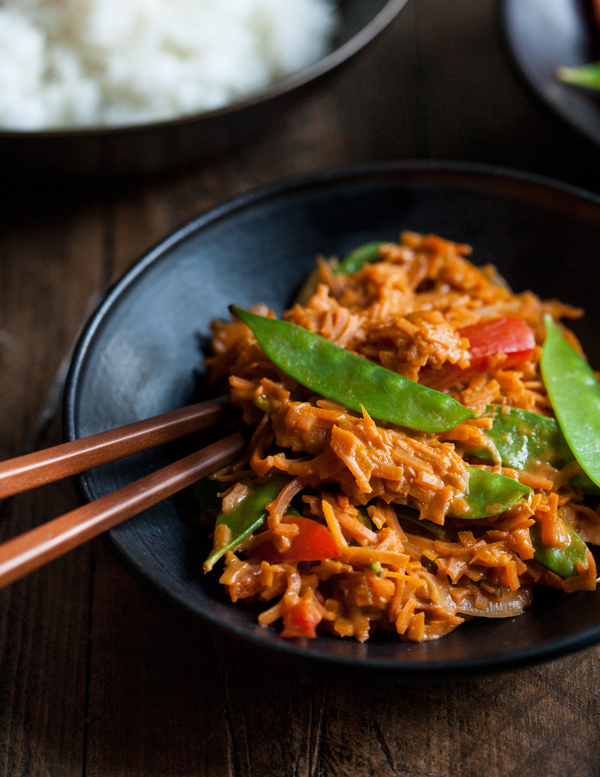 I had snow peas, pepper, and onions, which worked well with the Thai-inspired flavors, but this would be a good recipe to use any vegetable combination. If you’re short on groceries, you could use a frozen vegetable medley to make it even easier. Blend the peanut butter, water, curry paste, tamari, date, lime juice, ginger, and garlic together in a food processor or a blender until smooth. Heat the oil in a wok, cast iron skillet, or large frying pan over medium high heat. Add the onion and peppers. Sautee for 5-7 minutes, or until the onions are clear. Add the sweet potato noodles and the snow peas, along with a third cup of water. Cover the skillet and let the noodles steam for about 2 minutes. Remove the cover and sautee the noodles for another 2-3 minutes, or until they're tender and the snow peas are bright green. 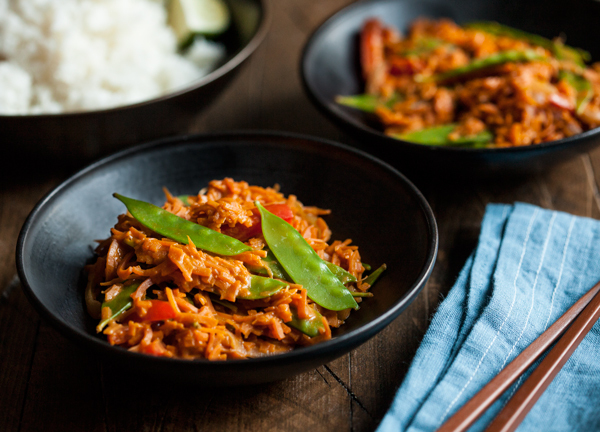 Stir in the peanut sauce and heat everything through. 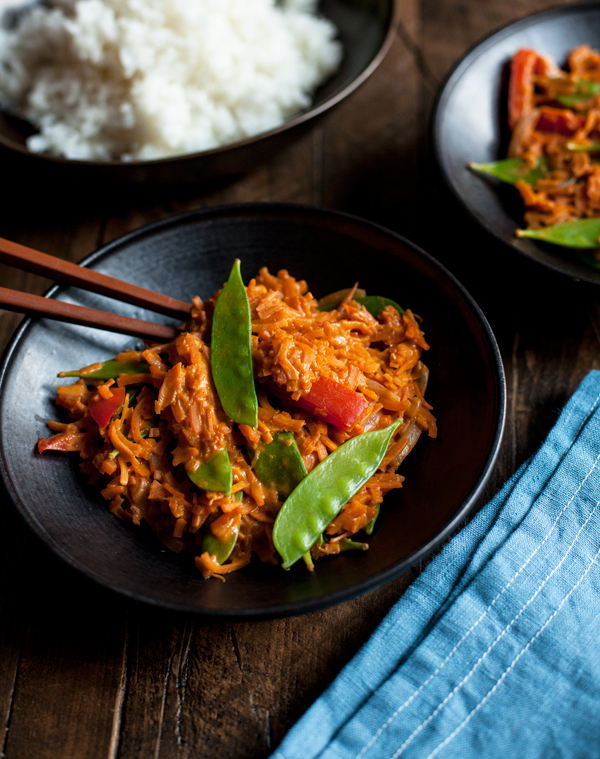 Serve noodles over jasmine rice, if desired, or over a bed of freshly steamed greens. A handful of chopped peanuts and green onions or cilantro makes a perfect additional topping. Leftover noodles will keep for up to three days in the fridge. As you can see, I suggest jasmine rice as a serving option, but a bed of freshly steamed greens would be cool here, too, since the sweet potato noodles are already nice and hearty. Or you could use a nice scoop of each. In all, this recipe is a winner, and it’s also a perfect weeknight meal option. I specifically had it on my menu plan this week with the knowledge that I’d be whipping it up this evening, and it was as doable as I hoped it would be. My sweet potato noodles aren’t quite as firm and crisp as I’ve seen them in photos–they definitely broke apart a bit–but I loved the tender texture, and I can’t wait to enjoy the leftovers today. I’m sure the flavors will be better after marrying overnight! If you’re eager for more spiralizer ideas–and the device that allows you to bring them to life–then please enter my giveaway, below, to win a copy of Inspiralized and your own free Inspiralizer. US entries only, please. The giveaway will run for two weeks, and I can’t wait to pick a winner! On that note, it’s time to get to work. Happy Friday! Zucchinis are my favorite veggie to make noodles with but I’ve never tried any other veggie! My Paderno just came yesterday so I haven’t had a lot of time to experiment and find a favorite yet. So far it’s zucchini but that could change at lunch time! I could really use Ali’s “Inspiralized” to help me get on the right track and go crazy with this amazing tool! I love sweet potato in any form, so that’s definitely what I most like to spiralize. Zucchini are great too! I’d like to try spiralizing fruit because I’ve never done that. Zucchini is my favorite but I have to admit I haven’t spiraling down too many things yet. I love spiralized zucchini and carrots! I love celeriac noodles in a fresh, minty salad for hot summer days. My favorite is zucchini, but sweet potato noodles sound delicious, too! I’m new to this veggie noodle thing, so I’ve only tried zucchini so far, but I love that! I have made veggie noodles from zucchini and carrots by using a veggie peeler. They were yummy. 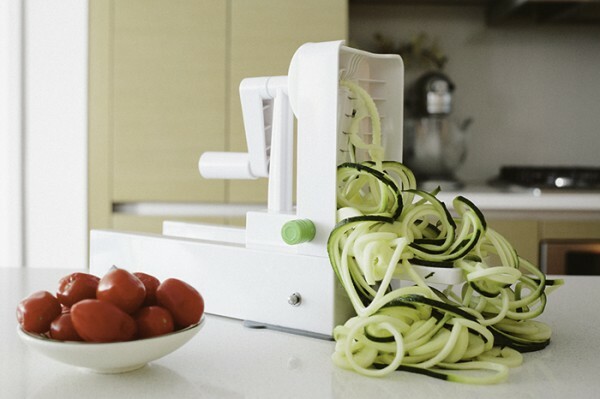 I have had a spiralizer on my wish list. I do look forward to making this dish – especially the sauce. This recipe looks delicious, and the spiralizer looks like a great kitchen tool to have! I love sweet potatoes and curry together. It’s like a hug in a bowl. SO SO comforting and delicious. Pinning! Zucchini is one of the easiest and most versatile veggies for spiralizing. But I love to spiralize onions! They come out so nice and thin, and they’re great for sauteing quickly or adding to a salad. I don’t have a spiralizer yet so I really hope to win this one! I love to spiralize! Zucchini and sweet potatoes are my favorite. I will definitely be trying this recipe. The only veggie I’ve spiraled/pasta-fied so far has just been zucchini. I would love to try other veggies like beets! I love zucchini noodles but want to try celeriac and butternut squash.., my spiralizer has been pretty wimpy lately, so I would love to upgrade! I have recently learned about spiralizing zucchini and would LOVE to learn more! The cookbook looks awesome!! I usually use zucchini. I haven’t branched out yet to other veggies but I need to! Those sweet potato noodles look amazing. Normally zucchini (boring) but I have celeriac in my fridge right now. I have never actually spiralized veggies before but I must say, those spiralized sweet potatoes look amazing so I will go with that! I absolutely love spiralizing! My favourite veggies are zucchini and sweet potatoes but I also love using crisp apples and pears! And Ali’s website is the perfect place to go for recipes and ideas, so that you can spiralizing every day workout getting bored! I’ve only ever tried zucchini.. which is why I am dying to get my hands on a copy of Ali’s book! I love to do zucchini noodles!!! My favorite veggie noodle is zucchini, but I do love beets, too! I’m a simple girl — zucchini noodles all the time! But I would love to try out more! Recipes look fun! Great way to increase daily veggies. Would love to try sweet potato noodles. 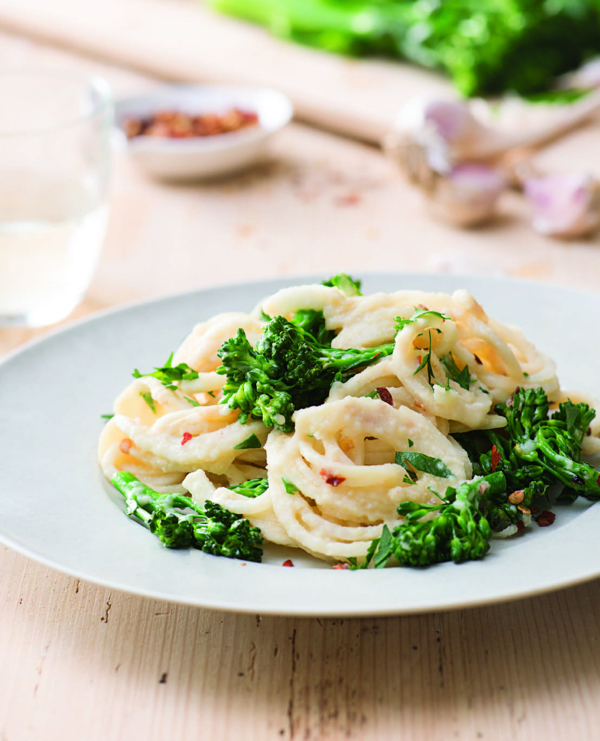 This looks delicious & I’d love to win the spiralizer so I can prepare it! Zucchini and apples would be a great combo! I have a spiralizer that I got from amazon, but can’t figure out how to make the darn thing work. It was cheap.. feel like a waste of time and money. All of them! No discrimination there! I would really like to add item in my kitchen. I am a vegetarian and love my vegetables! Finding new ways to make meals is more enjoyable. I love zucchini and sweet potatoes!